Among the black-tie dignitaries inching forward to meet China’s most powerful leader at a Washington gala in 1979 was a quiet, scholarly priest from Seton Hall University, Father Laurence T. Murphy. He was a man on a mission. 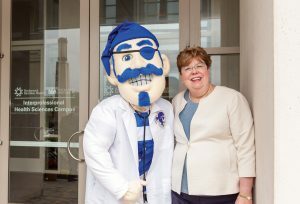 China was cracking its door open after years of isolation, and he wanted Seton Hall to step through it. Father Murphy had spent a decade working in Washington, for both the U.S. Conference of Catholic Bishops and the U.S. State Department, and when he heard about Chairman Deng Xiaoping’s visit — a historic opening in relations between the two nations — he started contacting his old colleagues, looking for a way to meet the Chinese leader, however briefly. He managed to wrangle an invitation to a performance in Deng’s honor at the Kennedy Center, as well as a spot in the receiving line. 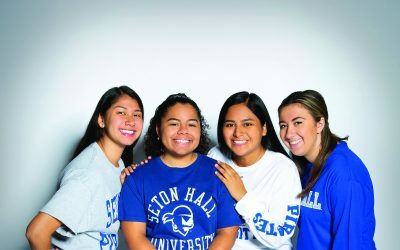 Within just a few months of that meeting, four graduate students from Seton Hall’s Asian Studies department were studying in Beijing, and four Chinese scholars — two chemists and two mathematicians — were on their way to Seton Hall, the first in a long line of students and faculty who have since traveled between South Orange and China. Father Murphy was named president of Seton Hall in the summer of 1979, and by June 1980, he was on the way to China himself, leading a delegation that included New Jersey Gov. Brendan Byrne. Among the people Father Murphy met were representatives of what remained of the Catholic Church in China: the Chinese Patriotic Catholic Association, established and supervised by a Communist government that wanted none of its citizens answering to Rome. It was after one of these meetings, a dinner with the bishop of Wuhan, that Father Murphy acquired a new and unexpected mission. With that, a new chapter then opened in Father Murphy’s life, a life that had already spanned both the globe itself and the epic events of the 20th century. As a boy at the parish school at Saint Peter’s in Newark, and then at St. Joseph’s in Roselle, Larry Murphy was certain about his vocation. He remained certain when he went to Seton Hall Prep, too. “As long as I could remember, I knew I was going to be Navy,” he says. But when he graduated from Seton Hall Prep in 1935, in the middle of the Depression, appointments to the service academies were scarce. He joined the Navy Reserves, spent a year at a prep school in Annapolis, and ﬁnally earned a spot at the Naval Academy. After graduating in June 1941, he was assigned to a battleship, the USS Oklahoma, but then was among a handful of young ofﬁcers sent to the Washington Navy Yard to study the early electronic attempts at computers. When Japan attacked Pearl Harbor a few months later, 429 men died on the Oklahoma. Over the next four years, from the Battle of the Santa Cruz Islands to Okinawa, from the South Paciﬁc to the North Atlantic and back, Murphy was in 18 major naval engagements. He survived kamikaze attacks on his ship, icy winter convoys across the North Atlantic to Murmansk (“the life expectancy if you went in the water was two minutes,” he says), and the Battle of Leyte Gulf in the Philippines, the largest naval battle of the war. He left the Navy at the end of 1947 and began to study Latin and Greek at Seton Hall to prepare for the seminary. Murphy was 35 when he was ordained in the Maryknoll chapel in 1954. His plans to serve in the order’s Asian missions were thwarted by the three bouts of malaria he had endured in the war; he was advised, for his health, not to live in the tropics. He taught at Maryknoll College in Illinois and earned a Ph.D. in philosophy at Notre Dame, where he also taught and took students to Peru for eight summers as part of a program he started there, the Council for the International Lay Apostolate — “a kind of summertime Peace Corps,” he says. 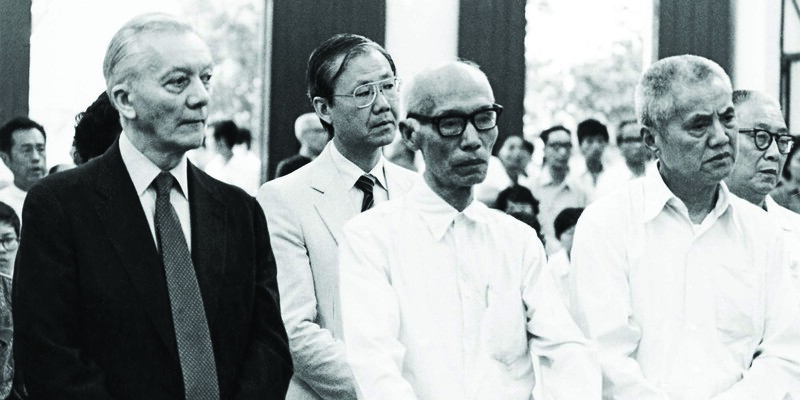 While on his visit to China in 1980, Father Murphy held tightly to Bishop Dong’s letter. He then flew to Rome to meet the Vatican’s main China expert, Archbishop Claudio Celli, who arranged for Father Murphy to concelebrate a Mass with Pope John Paul II. In a private 45-minute breakfast meeting after the Mass, Father Murphy presented the letter and told the pope what he had learned about the Church in China. “He was fascinated by China and told me right then, the first time we ever met, he said, ‘That’s one of my first priorities. If I could go to China tomorrow, I would go,’” Father Murphy says. Father Murphy remained at Seton Hall while he traveled for the pope, living in China House, a residence he established for visiting Chinese scholars and students; serving as the director of the University’s intercultural Asia Center; and always trying to keep the traffic moving through the door he had opened between China and the University. At 98, Father Murphy no longer travels afar, but China is never far from him. At Maryknoll – where the fieldstone tower is capped by a pagoda-style roof, testament to the order’s early Asian missions – he recently participated in the 25th anniversary symposium of the Chinese Church leaders to the United States for graduate study. And hanging over his desk in his room there is large, graceful piece of Chinese calligraphy, a gift from the late Bishop Duan In-min of Wanxian.